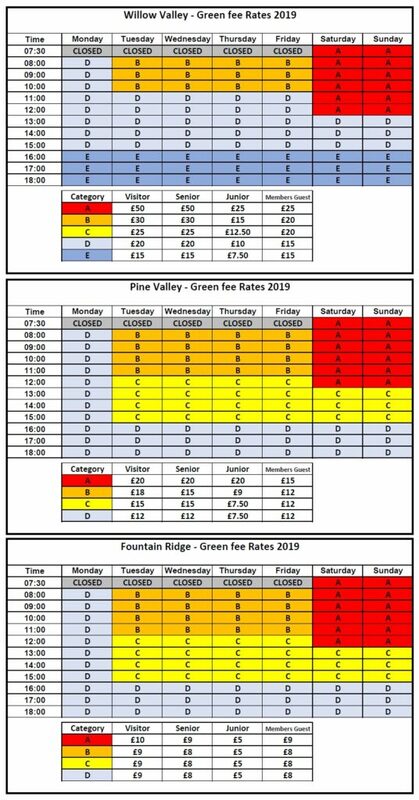 You will be asked to pay one green fee per tee time to reserve a tee which is a non refundable deposit. Return to the check in desk within 1 hour of the allocated tee off time. Return to the check in desk within 30 minutes of the allocated tee off time.